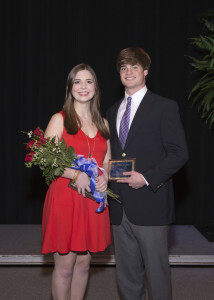 Daniel Kennedy and Grace Golden were named Mr. and Miss Jackson Academy at the annual Features Pageant. Students were also recognized for being elected class favorites, beauties and beaux, and other special awards for seniors. Click on the link below to see photography from Horrell Photography.